I recently made a plant-based fava bean and mushroom chili, and of course, with chili you have to have cornbread. Making a delicious vegan chili is just a matter of adding some minced mushrooms and char roasted aromatics, but making a flavorful cornbread with a nice crumb without dairy, lard or eggs is a tougher nut to crack. 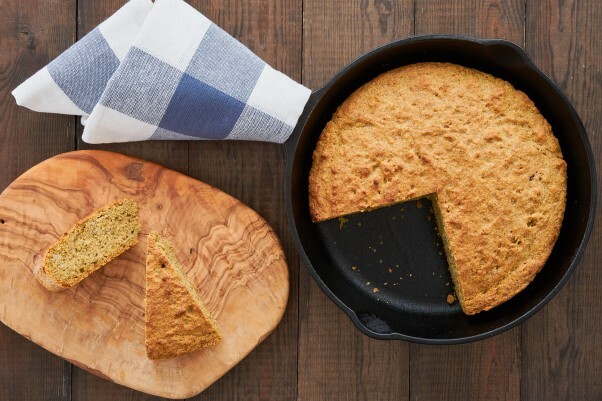 Despite having a name that makes it sound plant-based, cornbread is actually more like a cake than a bread and relies heavily on butter (or lard), eggs and buttermilk. The butter is what gives cornbread its moist crumb and rich flavor, while the tart buttermilk reacting with the baking soda helps the bread to rise. The eggs also play a hand in moisture retention, they also add structure to the dough. To make my cornbread vegan, I started with my regular cornbread recipe and started with the easiest substitution first: the butter. Coconut oil with a little nutritional yeast makes for a great butter substitute that will give your cornbread a rich buttery taste, and will even impart a pale yellow color. Instead of buttermilk, I used a combination of soy milk and lemon juice. Any plant-based milk will do, but the addition of lemon juice is the key to making the bread rise properly. Finally there’s the eggs. Most vegans are probably familiar with flax eggs, but I prefer using chia seeds because they have a more neutral flavor. Chia seeds also contain more fiber and calcium which make them a great way to supplement the nutritional value of this bread. 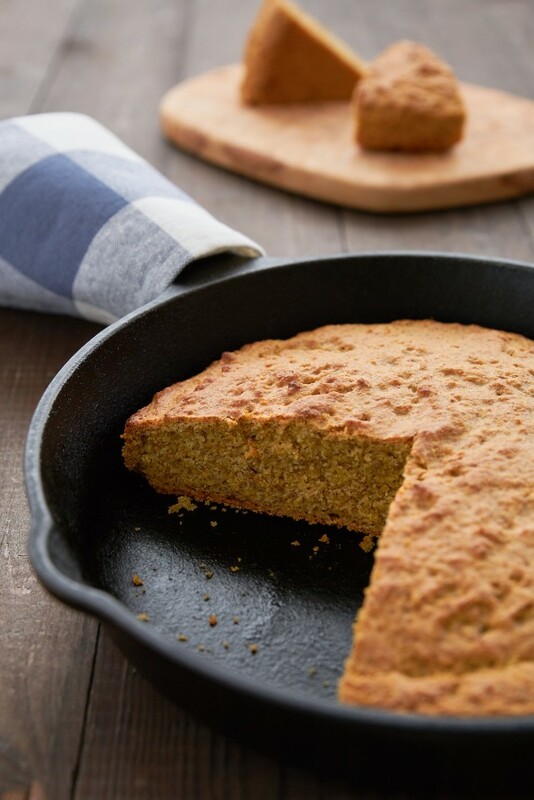 Cooking the cornbread in a cast-iron skillet renders the outside crisp and buttery, while the interior is moist and crumbly. It’s like the difference between a crusty french baguette and a loaf of white sandwich bread. This is one of those breads that becomes more flavorful as you chew, so while it’s amazing with a bowl of chili, it’s also delicious on its own. 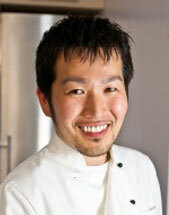 Preheat the oven to 425 degrees F (220C). Put the chia seeds in a clean spice grinder and grind until they're a fine powder. 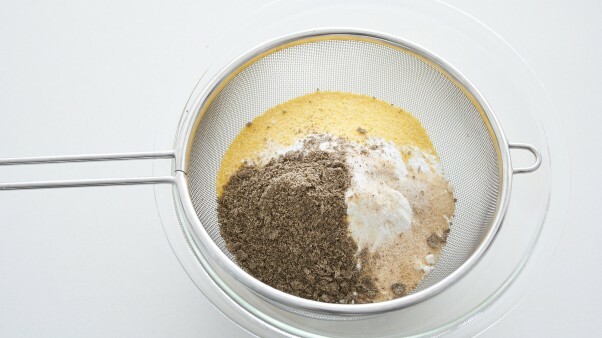 Sift the cornmeal, all-purpose flour, baking powder, baking soda, sugar, salt and ground chia seeds together. 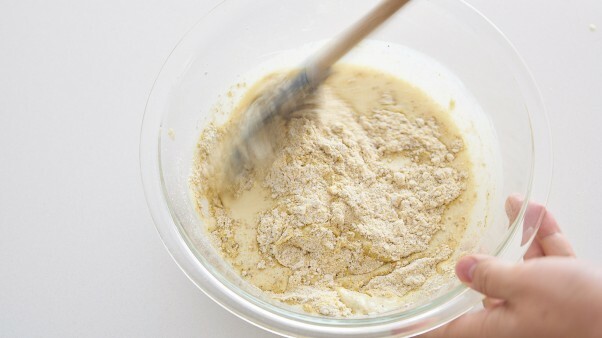 Whisk the sifted flour mixture to distribute evenly. In a separate bowl, whisk together the soy milk, nutritional yeast, 2 tablespoons of coconut oil, and the lemon juice until evenly combined. Dump the wet ingredients into the dry ingredients and fold the mixture together until combined and free of large lumps (do not overmix). Pour the batter into the pan and smooth off the top. Put the pan in the oven and bake until the top is golden brown and a toothpick inserted into the center comes out clean (about 25-30 minutes). Remove the cornbread from the oven and transfer the cornbread to a cooling rack to cool for at least 10 minutes. You can let it cool completely or serve it warm.